It is an unfortunate fact that many people are afraid of going to the dentist. 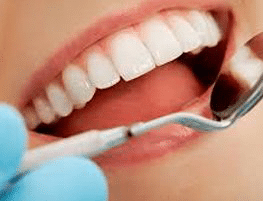 Whether it is apprehension at the types of procedures one may face, uncertainty about one’s oral health status, the fear of pain or discomfort, or some combination in between, dental professionals know that many patients experience severe anxiety leading up to their dental appointments. The truth is that advances in dental science have led to relatively pain-free experiences for the overwhelming majority of dental patients. 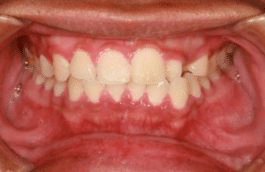 Still, those fears may linger, with the worst cases causing people to neglect their oral health. 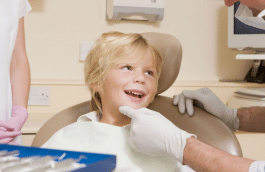 Dr. Thomas Cooke understands that overcoming dental fears is critical. 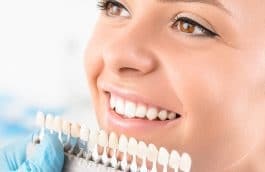 In this guide, we will provide tips for getting over fears, allowing you and your dental professional to take care of your teeth and mouth without anxiety. 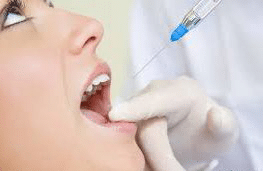 In years past, dentists would administer anesthetics to the gums with a syringe and needle prior to performing certain procedures such as root canals or tooth extractions. The mere sight of the needle led to intense anxiety in many patients, and the sharp sting of the injection could be very unpleasant. 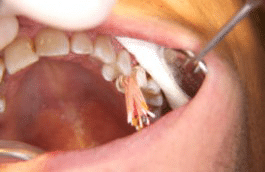 Topical anesthetics have eliminated the sting, however, and most dentists use such a technique to reduce discomfort. Topical anesthetics are typically a gel or paste that is applied to the injection site. If you have fears about the pain of anesthetic injections, ask your dentist to use a topical numbing agent. 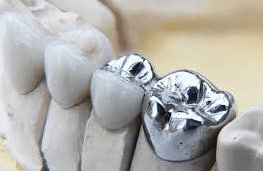 A number of dental patients may begin to experience anxiety when faced with certain procedures and the tools used to conduct them, such as the sights and sounds of drilling or scraping instruments. Dentists have responded to these fears by providing patients with items like sound-blocking headphones and/or eye shields. Some dentists will play the patient’s favorite music through the headphones to cancel out any sounds, and a blindfold-like eye shield can eliminate the anxiety associated with the sight of blood or sharp tools. Some patients will don DVD glasses and watch a movie during the procedure, helping them to overcome any potential discomfort arising from the procedure itself. Related: What do emergency dental services include? The vast majority of dental patients that experience dental fear do so out of misunderstanding or ignorance of the procedures they may receive. When one does not understand how something is done or why it is needed, that lack of understanding can breed anxiety. As with advances in technology, dentists have responded to these potential fears by carefully explaining the procedures to their patients. Dentists illustrate the steps involved, talk about why the procedure is needed, and discuss follow-up care prior to treatment. Providing information in this way not only invests the patient in his or her own healthcare but also helps to allay the fears and anxiety they may experience. A great place for this information is our blog! 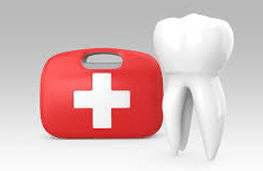 It is true that certain dental procedures may require hours of work to complete. Dentists try to minimize the time it takes to do these procedures, but extensive oral surgery or deep tooth cleanings can take a lot of time. During the procedure, the dentist and patient are in very close proximity, leading to a sense of claustrophobia for some patients. Being unable to communicate through speaking during the procedure further complicates the situation. Add that to the sense of lost control and many patients are faced with considerable levels of anxiety. One way to overcome those feelings is to work out a hand signal with the dentist prior to the start of the procedure. When the patient raises his or her hand, for example, that could signal to the dentist that it is time for a short break. This has the added benefit of building an interactive relationship with the dental professional, helping to reduce fears about dental care over time. When a patient knows that his or her dentist cares about their comfort level and will respond to their needs, anxiety is reduced dramatically.